1. Whether the suit is maintainable under Article 131 of the Constitution of India. Court’s finding- The suit filed by the State of Tamil Nadu is maintainable under Article 131 of the Constitution. 2. (a) Whether the Kerala Irrigation and Water Conservation (Amendment) Act 2006 is unconstitutional and ultra vires, in its application to and effect on the Mullai Periyar Dam? Court’s finding- Kerala Irrigation and Water Conservation (Amendment) Act, 2006 is unconstitutional and ultra vires in its application to and effect on the Mullaperiyar dam. (b) Whether plaintiff is entitled to a permanent injunction restraining the first defendant from applying and enforcing the Kerala Irrigation and Water Conservation (Amendment) Act, 2006 with reference to Mullai Periyar Dam? Court’s finding- The 1st defendant – State of Kerala – is restrained by a decree of permanent injunction from applying and enforcing the impugned legislation or in any manner interfering with or obstructing the State of Tamil Nadu from increasing the water level to 142 ft. and from carrying out the repair works as per the judgment of this Court dated 27.2.2006 in W.P. (C) No. 386/2001 with connected matters. This was arrived on the basis of the finding in the second issue. 3. Whether the rights of the plaintiff, crystalised in the Judgment dated 27.02.2006 passed by this Court in WP(C) No. 386/2001 can be nullified by a legislation made by the Kerala State Legislature? Court’s finding- The rights of Tamil Nadu, crystallized in the judgment dated 27.2.2006 passed by this Court in W.P. (C) No.386/2001 cannot be nullified by a legislation made by the Kerala State legislature. 4. (a) Whether the judgment dated 27.2.2006 of this Court in WP(C) No. 386/2001 operated as res judicata, in respect of all or any of the defenses set up by the first defendant in its written statement? Court’s finding- The earlier judgment of this Court given on 27.2.2006 operates as res judicata on the issue of the safety of Mullaperiyar dam for raising water level to 142 ft. and ultimately to 152 ft. after completion of further strengthening measures on the Mullaperiyar dam. (b) Whether the pleas relating to validity and binding nature of the deed dated 29.10.1886, the nature of Periyar River, structural safety of Mullai Periyar Dam etc. raised by the first defendant in its defence, are finally decided by the judgment of this Court dated 27.2.2006 in WP(C) No. 386/2001, and consequently first defendant is barred from raising or reagitating those issues and pleas in this suit, by the principle of res judicata and constructive res judicata? Court’s finding- The plea raised by Kerala relating to the lease deed dated 29.10.1886 and structural safety of Mullaperiyar dam have been finally decided by the judgment of this Court dated 27.2.2006 and Kerala is estopped from raising or re-agitating these issues in the present suit. 5. Whether the suit based on a legal right claimed under the lease deed executed between the Government of the Maharaja of Travancore and the Secretary of State for India on 29.10.1886, is barred by the proviso to Article 131 of the Constitution of India? Court’s finding- The suit based on a legal right claimed under the lease deed executed between the Government of the Maharaja of Travancore and the Secretary of State for India in Council on 29.10.1886 is not barred by the proviso to Article 131 of the Constitution. 6. Whether the first defendant is estopped from raising the plea that the deed dated 29.10.1886 has lapsed, in view of subsequent conduct of the first defendant and execution of the supplemental agreements dated 29.05.1970 ratifying the various provisions of the original Deed dated 29.10.1886. Court’s finding- The State of Kerala (first defendant) is estopped from raising the plea that the lease deed dated 29.10.1886 has lapsed, in view of the supplemental agreements dated 28.05.1970. 7. Whether the lease deed executed between the Government of the Maharaja of Travancore and Secretary of State for India on 29.10.1886 is valid, binding on first defendant and enforceable by plaintiff against the first defendant. Court’s finding- The lease deed executed between the Government of the Maharaja of Travancore and Secretary of State for India in Council on 29.10.1886 is valid and binding on the first defendant and it is enforceable by plaintiff against the first defendant. 8. Whether the first defendant is estopped from contending that Periyar River is not an inter-State river. Court’s finding- Kerala cannot be permitted to contend that river Periyar is an intra-State river. Issue No.8 is answered accordingly. 9. Whether the offer of the first defendant, to construct a new dam across River Periyar in the downstream region of Mullai Periyar Dam would meet the ends of justice and requirements of plaintiff. Court’s finding- In this view of the matter for the construction of new dam, there has to be agreement of both the parties. The offer made by Kerala cannot be thrusted upon Tamil Nadu. Issue No.9, therefore, has to be decided against Kerala and it is so held. The Court also granted liberty to the parties to apply to the court if they are able to arrive at osme amicable solution on either of the two alternatives suggested by the EC. 10. Whether the first defendant can obstruct the plaintiff from increasing the water level of Mullai Periyar Dam to 142 ft. and from carrying out repair works as per the judgment dated 27.2.2006 of this Court in WP(C) No. 386/2001. 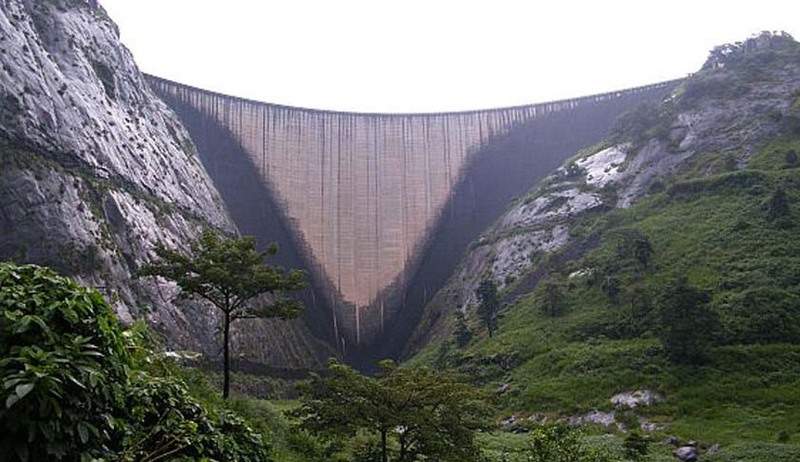 Court’s finding- Kerala cannot obstruct Tamil Nadu from increasing the water level of Mullaperiyar dam to 142 ft. and from carrying out repair works as per judgment dated 27.2.2006. (i) The Committee shall supervise the restoration of FRL in the Mullaperiyar dam to the elevation of 142 ft.
(ii) The Committee shall inspect the dam periodically, more particularly, immediately before the monsoon and during the monsoon and keep close watch on its safety and recommend measures which are necessary. Such measures shall be carried out by Tamil Nadu. (iii) The Committee shall be free to take appropriate steps and issue necessary directions to the two States - Tamil Nadu and Kerala – or any of them if so required for the safety of the Mullaperiyar dam in an emergent situation. Such directions shall be obeyed by all concerned. (iv) The Committee shall permit Tamil Nadu to carry out further precautionary measures that may become necessary upon its periodic inspection of the dam in accordance with the guidelines of the Central Water Commission and Dam Safety Organisation.